Recently, the Advocate wrote about President Donald Trump’s derogatory comments about Africa, Haiti, and El Salvador during an immigration discussion – calling them shithole countries. Now we are pleased to continue the conversation and simultaneously introduce our first Valley Advocate podcast – in video form below. 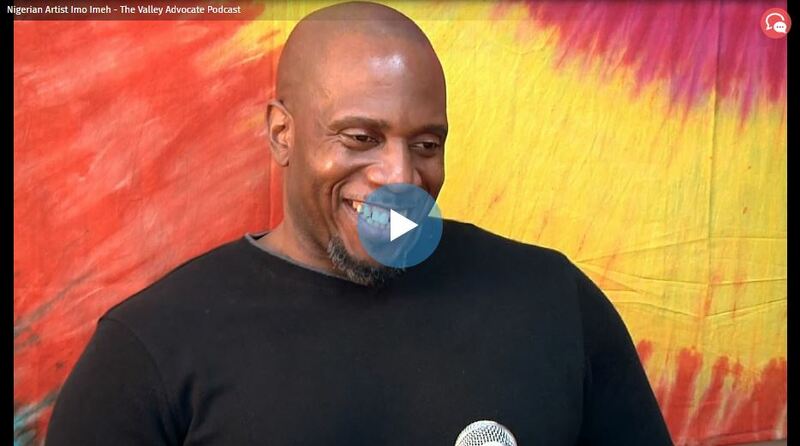 In partnership with Amherst Media, Advocate Editor Dave Eisenstadter and Arts and Culture Editor Gina Beavers spoke with artist and Westfield State University professor Imo Imeh, who was featured in the story, about his provocative art about perceptions of race across the globe. Hear Imeh’s take on the increase of racially charged language and incidents both locally and throughout the country, as well as his efforts to address the topic through his art. Imeh is a Nigerian-American scholar of African diaspora visual culture and aesthetics.